Available as a set of two or set of three containers. 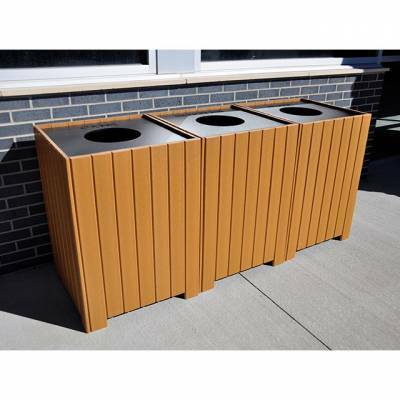 Containers made of 1” x 4” recycled plastic slats and rust-proof recycled plastic rings. 4” x 4” Post can be anchored into the ground or cut off and surface mounted. Post is clearly labeled with “recycle”. Each container is engraved with the label of your choice: glass, cans, aluminum, plastic, bottles, paper. 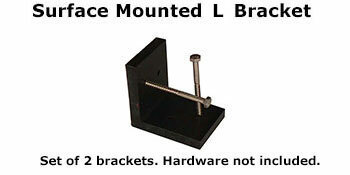 Heavy duty, zinc coated hardware. Available in green, cedar and gray with black lid. Recycled plastic made from 100% recycled material.